Navigating down to a Member in your database, the Member Records tab will provide administrators with an overview of the Member Record Type that has been assigned at each level, according to the setup of the Club or Association Member Record Type and how it has been linked throughout the database. 1. 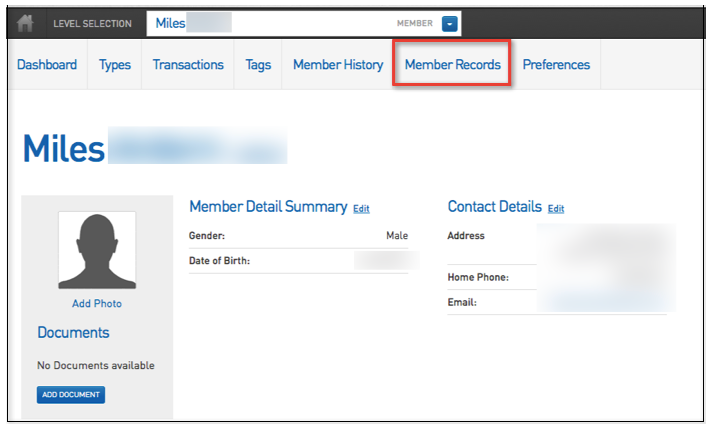 To view a Member's Record Type click 'Members' from your dashboard then, 'List Members'. 2. Click the magnifying glass next to the member you wish to edit/look at. 3. From the member's dashboard, click 'Member Records'. 4. Click the small magnifying glass to the left of the record you wish to view. 5. 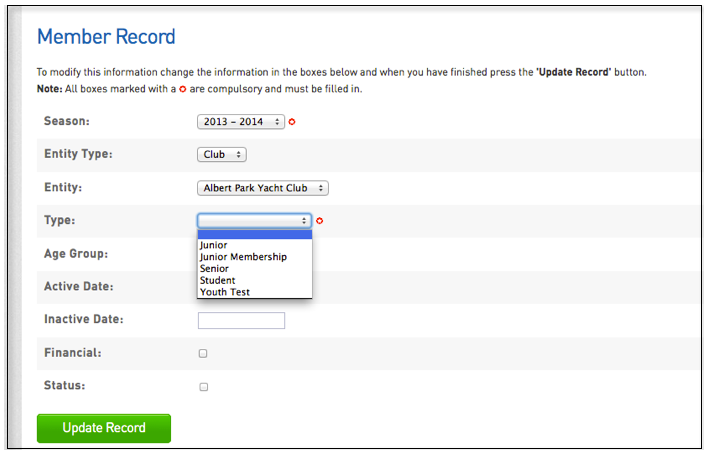 To edit the member's type, click on the drop down box next to 'Type' and then click 'Update Record'.